Windekind Buteau-Duitschaever, the talent behind Simply Rooted Woodshop and Ontario Wood partner, was put on an early path to working with wood. 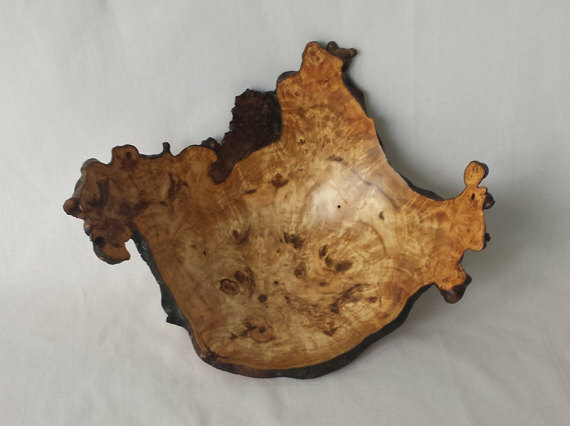 Windekind Buteau-Duitschaever, the talent behind Simply Rooted Woodshop and Ontario Wood partner, was put on an early path to working with wood. At the age of tree, his parents gifted him a hatchet, which may or may not have been unusual for a child “growing up out in the bush” as Windekind describes his early years. There were also summers spent alongside his uncle in Quebec building furniture. Despite this early exposure, however, Windekind’s pursuit of woodworking only took off much later in life when he was in need of some respite from his studies as a PhD candidate in the Department of Geography & Environmental Studies at Wilfrid Laurier University. 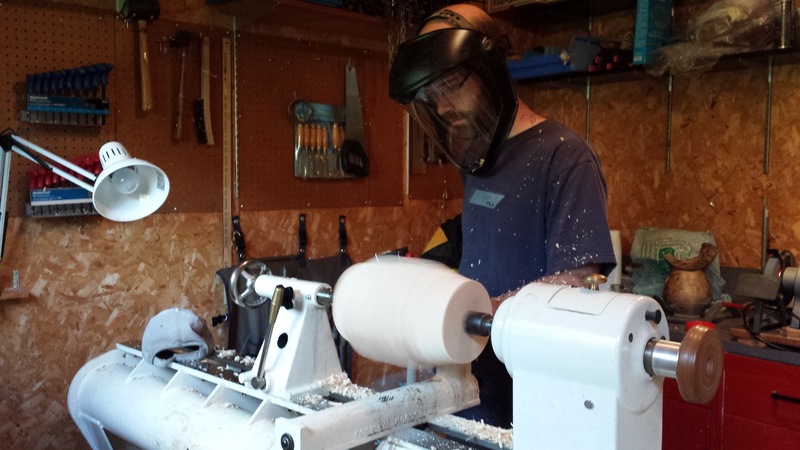 Just over a year into his PhD, Windekind joined the university’s naturalist club and through connections made there, found his way into a woodworking club. It was at the woodworking club that he began crafting canoe paddles and eventually a full-sized canoe that remains a work in progress four years later. 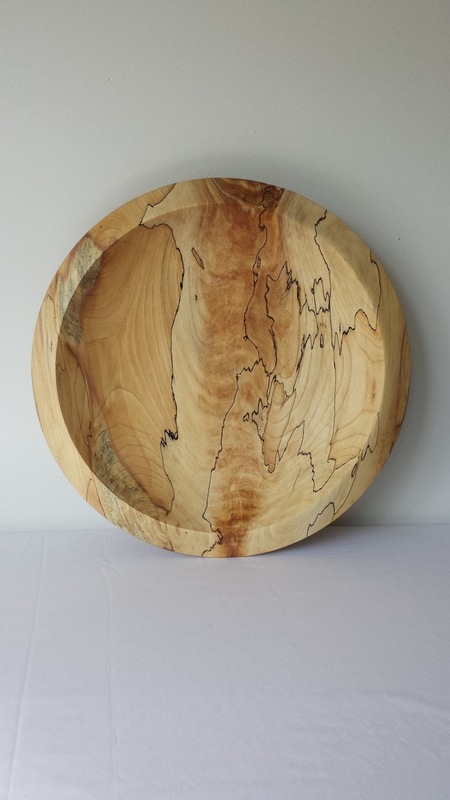 Since then, Windekind has built upon those experiences with the founding of Simply Rooted Woodshop, launching an online Etsy shop and appearing at craft shows throughout the Kitchener-Waterloo area. Simply Rooted’s bowls are striking on the surface for the unique patterns and grains that reflect the type of wood used in their production. Beyond the surface, each piece is a testament to the life cycle of wood. Simply Rooted’s pieces are crafted entirely from “reclaimed” wood, meaning that no trees were logged or cut to make each product. Rather, the wood Windekind uses is collected from trees that have died or fallen, perhaps as a result of infestation or extreme weather events. His primary source of wood is a Kitchener-Waterloo farmer who works with local hydro workers to collect discarded branches after storms. Windekind prefers it this way. For one, when he purchases his wood, he knows exactly where the money goes. Reclaimed wood, taken straight from the ground, also offers a variety that repurposed lumber simply doesn’t. Windekind relishes the unique contours and grains that reclaimed pieces offer and the challenge of working around these features to create the final product. Windekind describes his experience as an Ontario Wood partner as an incredibly valuable and rewarding one, particularly for the increased opportunities to showcase his work. Through the program, Simply Rooted products have been displayed and sold at the 2015 Toronto Christmas Market and at the Gardiner Museum as part of the 12 Trees of Christmas Exhibit. The Ontario Wood label also gives a recognizable name to the product, Windekind says, much like Foodland Ontario, which immediately tells the customer they’re buying something local and supporting independent artisans like Simply Rooted. 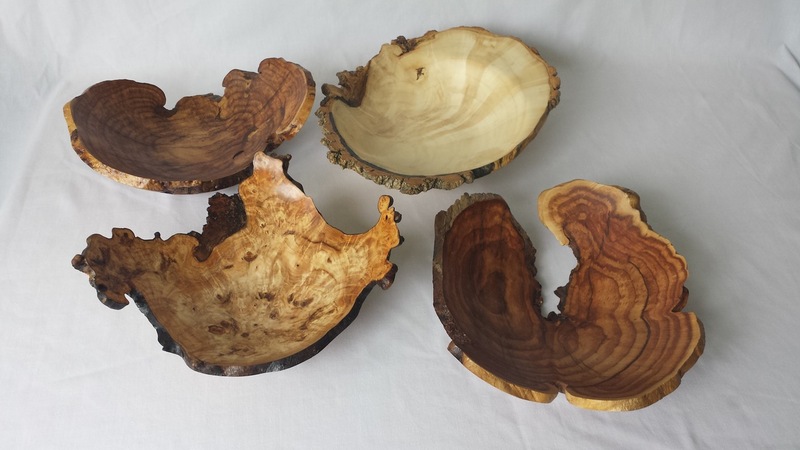 If you’re interested in learning more about Simply Rooted or purchasing any pieces, Windekind can be reached at simplyrootedwoodshop@gmail.com. You can also find him on Etsy (SimplyRootedWoodShop).